Bangkok sits firmly in my Top 3 cities to visit and that I just did for a recent weekend away. There is so much to experience, enjoy and learn in The City Of Angels and no better base to do this than the outstanding St. Regis Bangkok. 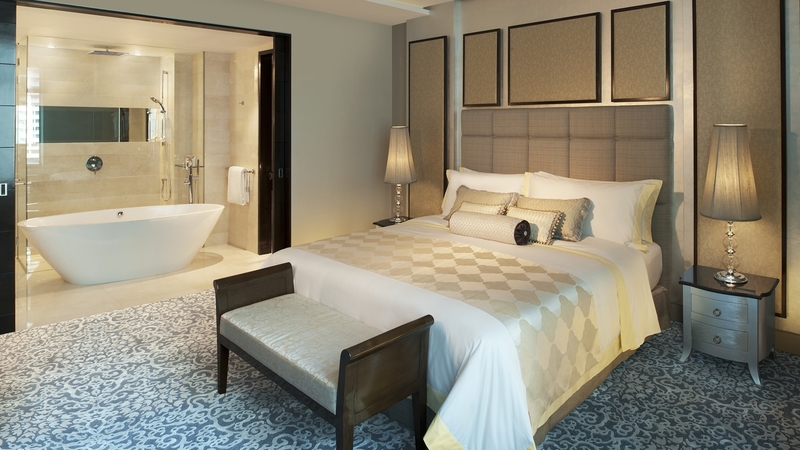 Opened in 2012, it went straight to Condé Naste Traveller’s 2012 ‘Best New Hotels’ Hot List – scoring for its location (primly positioned among the city’s best shopping, tourist attractions and restaurants) and service. 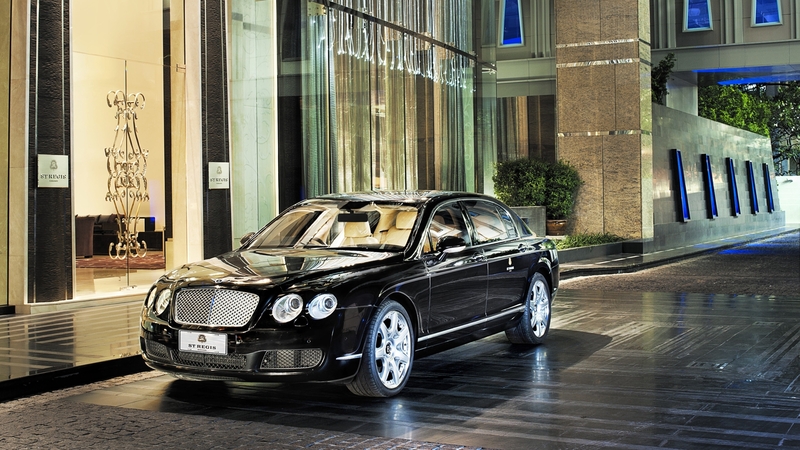 The St. Regis service is second to none and it starts the minute you arrive. Welcomed at the door by the smiling concierge team, we were whisked off to reception for a seamless, and seriously fast, check-in. 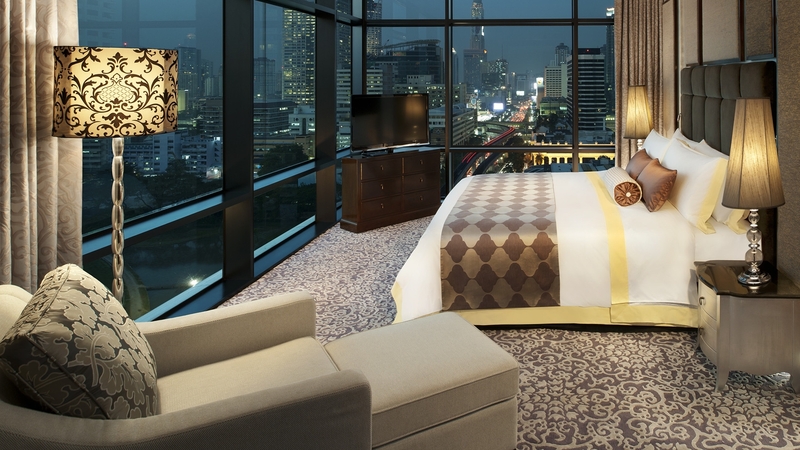 Upon entry into our stunning suite, I was taken by the floor to ceiling views of the Royal Bangkok Sport Club and Bangkok Lumphini Park. A great location for morning walks or jogs before the day heats up, or for those who prefer their exercise a little more vicarious, to watch the locals partake in their morning Tai Chai. The highlight of the rooms would have to be the impeccable lighting and generous size bathrooms, all complete with rain showers. All guests at The St. Regis Bangkok enjoy the services of The St. Regis Butler Service – a treasured hallmark of the St. Regis experience for over one hundred years. Butlers can assist with unpacking and packing, unlimited tea or coffee deliveries, garment pressing and any other want or whim during your stay. For more decadence and indulgence, the on-site Elemis Spa, inspired by nature and defined by science, provides therapies in an impeccable setting of elegant, Thai-inspired luxury, reflecting a fine balance of tradition and innovation. Elemis Spa. Located on the hotel’s 15th floor, the spa’s serene environment is a haven of quiet rejuvenation, far removed from the hectic pace of life in Bangkok. 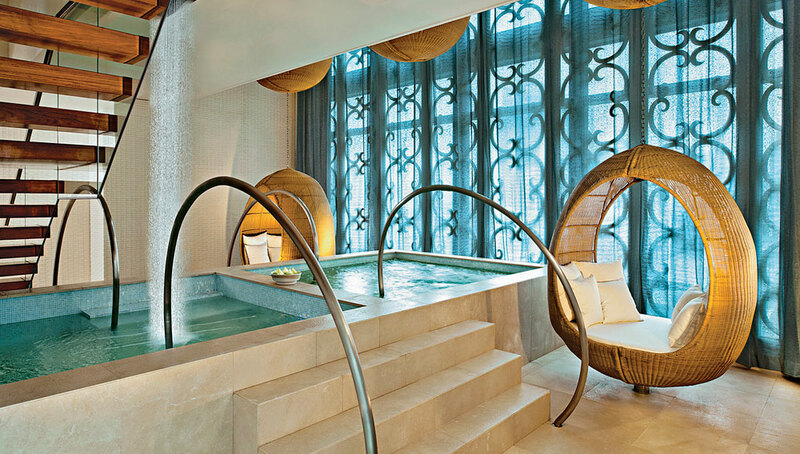 In addition to 16 treatment areas, including two Couple’s Treatment Suites, the spa features Rasul chambers where guests can experience an ancient Arabian bathing ritual that incorporates mineral-rich clay, heat and steam to cleanse, exfoliate, absorb toxins, increase circulation and soften the skin. Try the foot ritual wading pool experience – you’ll never leave. Surrounded by lush tropical plants, the pool area overlooks the cityscape and the Royal Bangkok Sports Club’s golf course. Our outdoor Pool Bar features an all-day menu and full beverage service with poolside service. Comfortable chaise longues offer the perfect setting for breathing deep and enjoying poolside pleasures. We also enjoyed lounging around the property’s outdoor pool and working away the jetlag in the neighboring Exercise Room. Fantastic pool service (the fresh coconut water and poolside snacks are a great touch), great food and clear cool water are just the medicine for escaping the Bangkok heat. 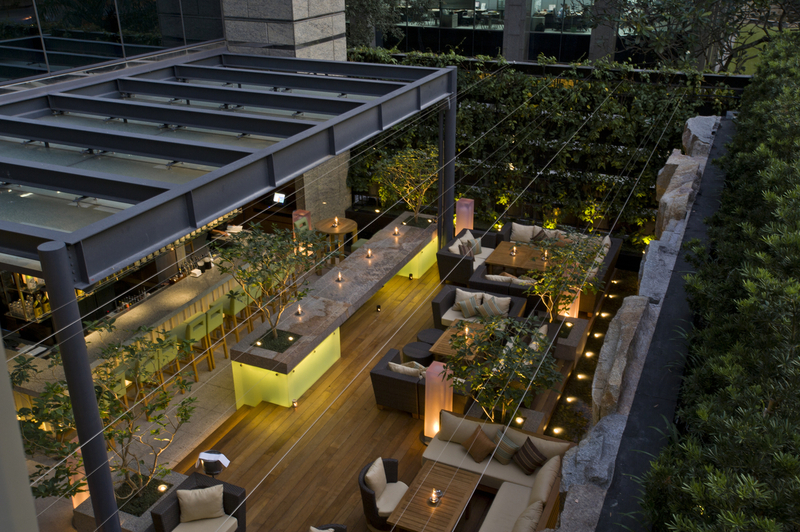 There are several dining options at St. Regis Bangkok. Breakfast at VIU (a top experience and an inclusion in our exclusive rates) includes wonderful buffet options, home-made yoghurt and mouth watering made to order omelets. London’s top restaurant, ZUMA, graces the ground level and highly recommended for a night out and for guests not wanting to venture out too far for dinner. I also recommend The St.Regis Terrace Bar for a quick night cap before you fall into a 300-thread-count-Egyptian-cotton-induced-slumber, in your signature St. Regis King bed for the night. An utter joy after a bustling day in Bangkok. Make sure to visit Baipai Cooking School to learn how to cook Thai style (and eat your delicious creation!). We used a wonderful tour operator called Smiling Albino to take us around and off the beaten track to explore some unique Bangkok experiences. Our guide Orr was terrific who escorted us on a longtail boat up the Chao Phraya River to the Wat Pho for some monk chanting and blessings, some great local community visits (via Tuk Tuk and private air conditioned van), the Arab quarter, flower markets of Bangkok and ending up at Sky Bar at Lebua Tower. A brilliant few hours of peace, culture , love and Thai hospitality. No shopping visit to Bangkok would be complete without visiting MBK for some bespoke tailoring, gadgets and foot massage. 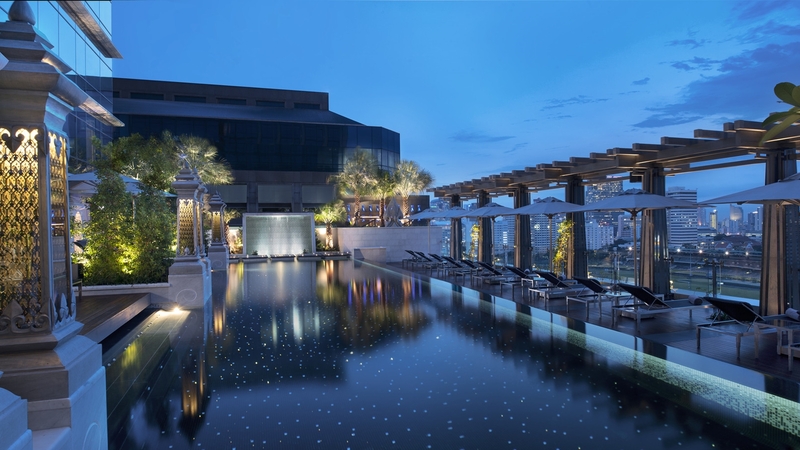 For those travellers wanting more upmarket, try Siam Paragon and Siam Centre. Dinner at Paste and Nahm were nothing short of sensational. Thai cuisine at its best.